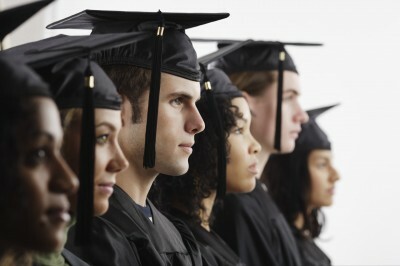 Home » Living Room » Top 5 tips for staying out of debt as a student. Top 5 tips for staying out of debt as a student. Moving out of your family home into university halls of residence is a huge step for most students – not only is it the first time you are living away from home, but it is also the first time you are in charge of your own money. With so much responsibility, at such a new and exciting time, it is easy to understand why so many students find themselves in debt after they graduate. Some student debt is unavoidable as student loans are an essential part of becoming a student for many. However, additional debt such as overdrafts, credit cards and loans are avoidable. As a student your bank may automatically give you an overdraft, but remember this isn’t free money and you will have to pay it back. They may not charge interest while you are a student, but they will once you graduate. Budget, budget, budget – we cannot stress enough how important it is for you to set yourself a budget. It is so easy to see your student loan in your account and go out and blow the lot, but that money has to last you the entire semester. Plan out how much money you have each week, withdraw the cash and keep an eye on how much you are spending. Learn to cook – you may have had your parents cooking for you when you lived at home, but at university it is time to make your own meals. It is easy to fall into the takeaway trap, but this is extremely expensive and you will soon run out of money. The cooking doesn’t have to be fancy, you can adopt traditional student food such as beans on toast or jacket potatoes. Get what you are entitled to – there are many different grants available, make sure you check what you are entitled to. It will not cost you anything to check and you could be given extra money in the form of a grant to help towards the cost of tuition fees or course supplies. Make the most of student discount – lots of different shops will offer incentives to students giving you a percentage off what you spend. As a student you can also get a railcard that will bring down the costs of your travel. You can also make your money go further with additional vouchers and discounts from places like Voucher Cloud. Get a job – a job may get in the way of socialising but it will also provide you with an extra income, meaning that you do not have to worry about money as much as you would without one. If you do find yourself getting into debt then please speak to your university’s student counsellor who will be able to provide you with help and advice.